Houses in East Falls, Tues. Oct. 17, 2017. Though much has been researched about homeownership rates from generation to generation, a new report from Abodo looks more deeply at the racial breakdown – and disparity – of homeownership in the United States. Though the national average of homeownership reaches 63.1 percent, only a reported 46 percent of minorities own their homes. In the Philadelphia area, however, the average is slightly higher than the national rate. 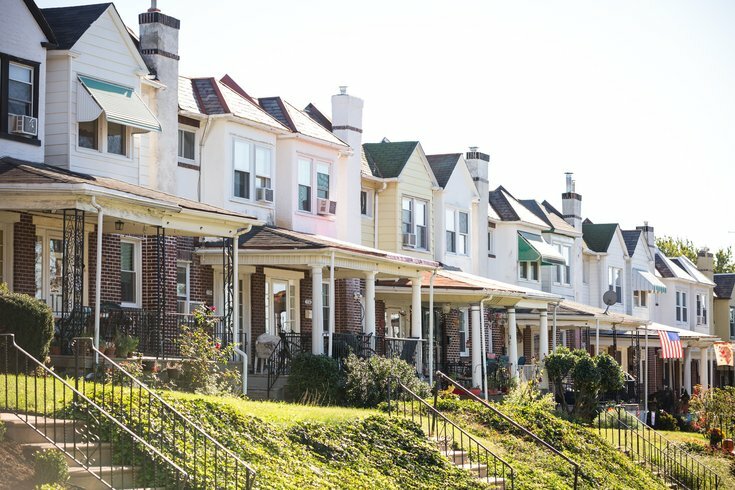 According to Adobo, which gathered its findings using U.S. Census data, 49.5 percent of all minority households are homeowners in the Philadelphia-Camden-Wilmington statistical region. Of large American cities, the San Antonio, Texas, area has the highest proportion of minority homeowners at 55.2 percent. Including all other U.S. cities, San Antonio falls at No. 9. The Philadelphia area’s average places No. 9 among big cities, and No. 34 overall. The only other East Coast metropolitan regions among the Top 10 big cities are Washington, D.C. (No. 3) and Richmond, Virginia (No. 9). Of the 45 big cities considered, New York was almost the worst – No. 44 – only sightly better than Providence, Rhode Island, at the No. 45 spot with a minority homeownership rate of 29.7 percent. The breakdown of minority homeowners, nationally, averages 58.1 percent among Asians, 45.5 percent among Hispanics, and 40.7 among African-Americans. The average percentage among whites is 70.1. The Adobo study also gives interesting details on the average time it takes for people to save money for the down payment on a home – typically about 20 percent of the house's value. In Philadelphia, it takes minorities an average 10.6 years to save. “In our study, we used area median home values as the benchmark for a 20% down payment, and estimated that 15% of annual income would go specifically toward down payment savings,” the study reads. Another significant disparity in Philadelphia homeownership by race: median home value. For non-minority homeowners, the median home value is $245,900; minority-owned homes, however, are a median $162,400. Check out the full report at Abodo.